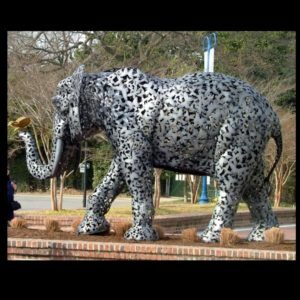 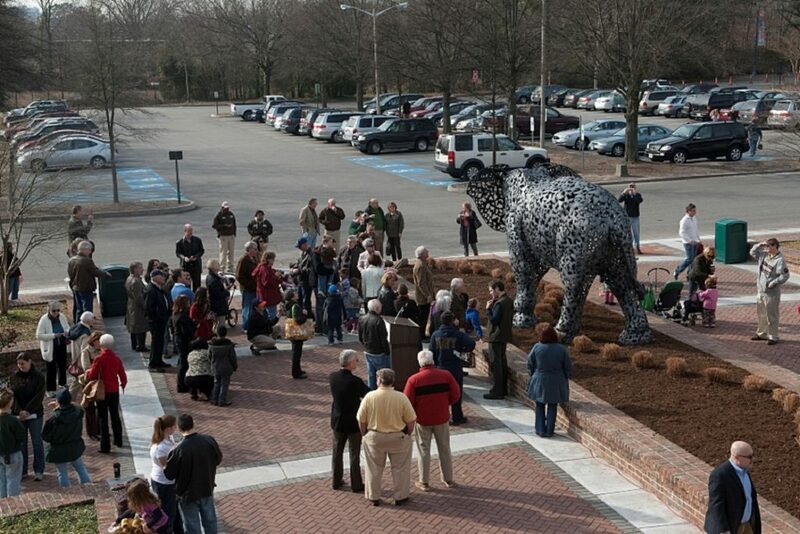 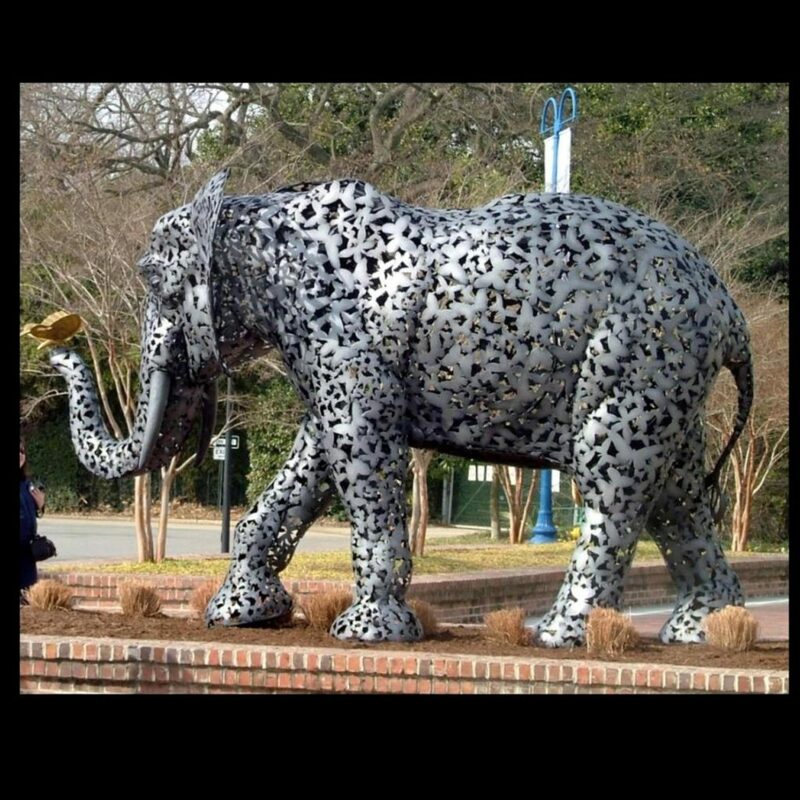 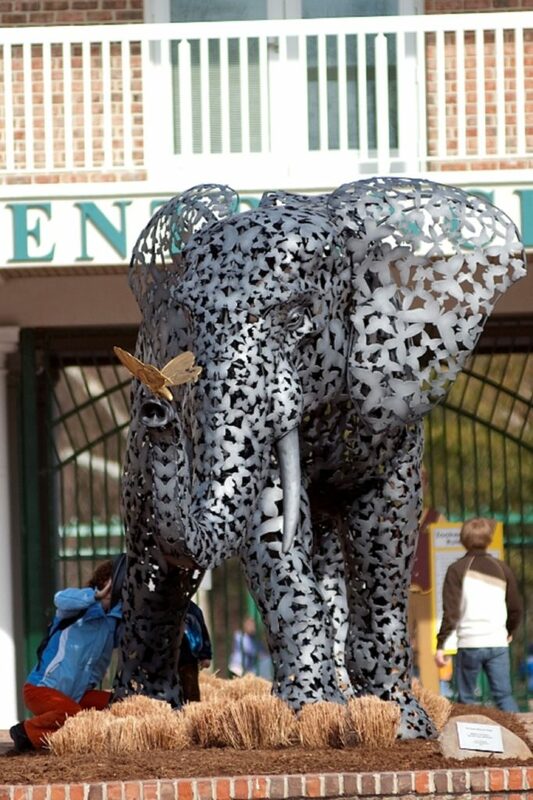 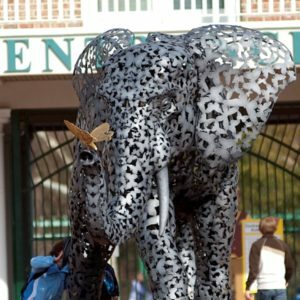 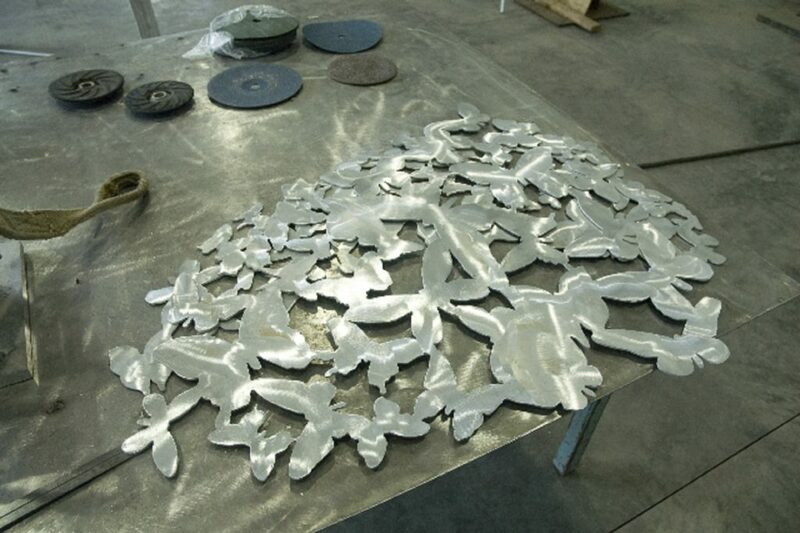 Mathew Gray Palmer created “All Things Within All Things”, an 16’ x 7’ x 10’ African elephant sculpture composed of over 6,000 aluminum butterflies for the entryway to the Virginia Zoo. 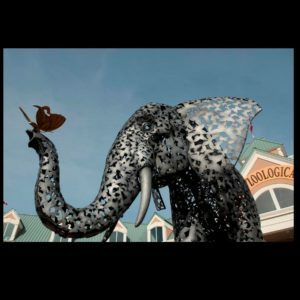 The artist, from Friday Harbor, Washington playfully illustrated our interconnection with each other from the largest terrestrial mammals to the most delicate wind-bound insects. 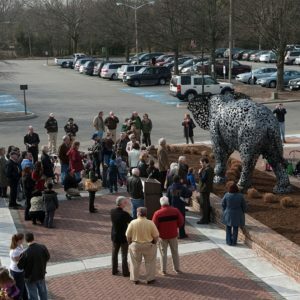 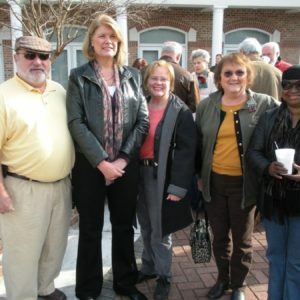 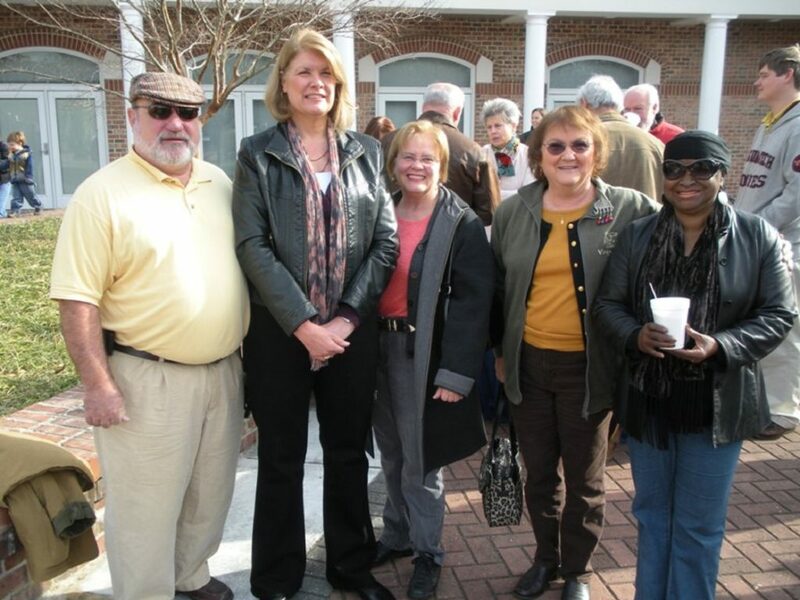 “This project for the City of Norfolk and the Virginia Zoo provided a tremendous opportunity to reach a wide demographic with multiple layers of meaning. There is pleasure at the spectacle of this massive creature composed of such light and delicate creatures and vise-versa with the golden butterfly being composed of elephants. 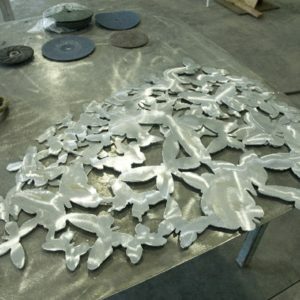 However, the metaphor can be stretched towards a moving beyond of our perceived separateness and a realization that “I” and the other are one and of the same universal manifestation of life.” says Palmer who is a full-time artist.